By Tommy Robbins. Finding open world survival experiences is hardly a challenge nowadays. The real doozy is finding one with potential to hold its audience in rapt attention for more than a few meager hours. 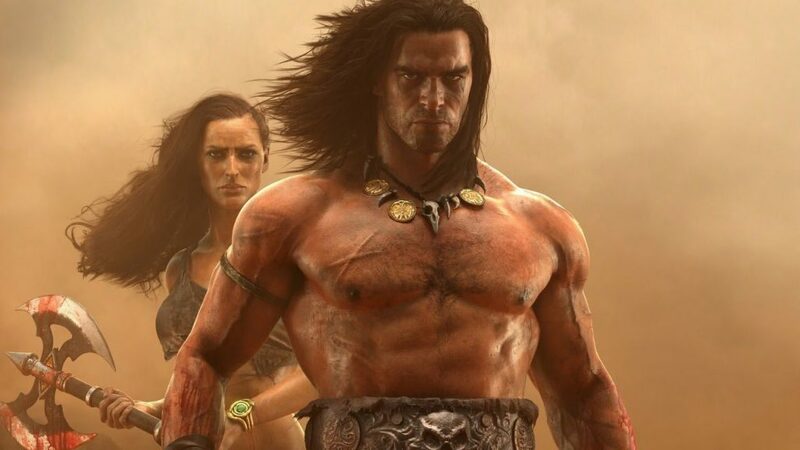 Conan Exiles, the up and coming open world survival title from Funcom, seems to hold the potential to seduce the survival games player base, providing them an answer to their ceaseless plight. Taking place in the realm of Conan (of the Robert E. Howard fame), Conan Exiles promises to layer its experience beyond that of the hunger, thirst and fatigue mechanics in every other survival experience. Yes, these mechanics exist but diving deeper into the game’s offerings reveals Conan‘s true promise. Players are expected to explore everything, from vast deserts to massive ruins, all the while collecting and building up their arsenal before claiming a plot and settling down to build. No matter if you’re constructing a small camp or ushering in the next giant city, equal possibilities are available for all. Once established, things begin to really get interesting. Players can begin to expand outwards, finding other encampments (potentially NPC’s or online players) to attack. After an enemy base has been seized, the player faces the decision to enslave the remaining living enemies, potentially for the purpose of forced labor, or they can choose to kill them all, drag their bodies back to home base, and remove their hearts for a sacrifice to the Gods. To what end, you ask? To summon behemoths to reign death upon further enemy encampments. Neat. It’s uncertain whether you’ll be enslaving actual players (I suspect not, but hey, Day Z lets you imprison folks for their blood, so who knows), but removing the hearts of fallen foes to summon the Gods to fight in your favor? That’s good enough for me. ‘Conan Exiles’ launches into Steam Early Access on January 31 and will find it’s way onto Xbox One Game Preview in Spring 2017.